This year marks 120 years since the birth of one of Indian’s earliest heroes – Albert Burns. It’s a story that has captured the imagination of Anvil Motociclette, who is currently working on a Scout Sixty project bike to be unveiled later this summer. In 1912, when Albert was just 14-years-old, he built himself an Indian racing bike and began to take part in competitions alongside more experienced and adult riders. He started to win, which prompted his older rivals to complain about his age and small size (lighter on the bike). 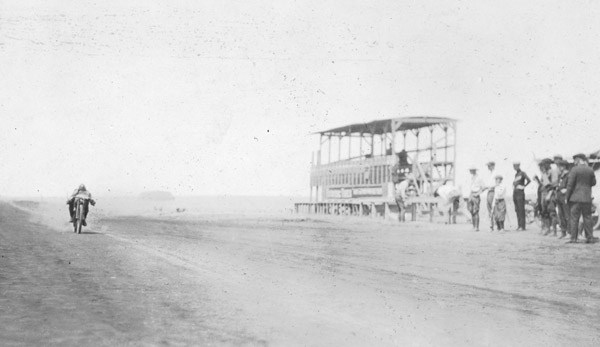 He was even turned away from some motordrome races, but the young Albert Burns did not lose heart and would climb the fences to make faces at some of the racers who had complained about him or he would sneak on to the track after the racing had started, and in some instances then go on to win the race. His short, thin size and cheekiness earned his the nickname “Shrimp”. Shrimp’s first appearance for Indian was the opening event of the 1920 season, a week of racing at Ascot Park that had 25 and 50-mile National Championships. He crashed on the 25-mile race at 107 mph, filling his hands and arms with splinters from the wooden board track. For the 50-mile race, Shrimp borrowed a teammate’s Indian and took back to the track wrapped in bandages. He was behind the leaders for most of the race, but used the high banks to gather enough speed to pass on the final lap, winning with an average speed of 102 mph and breaking all existing records. 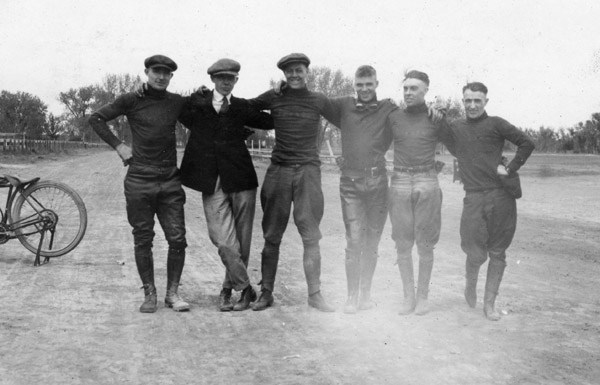 Four months later Shrimp died in a race on August 14, 1921, in Toledo, Ohio just two days after his 23rd birthday. 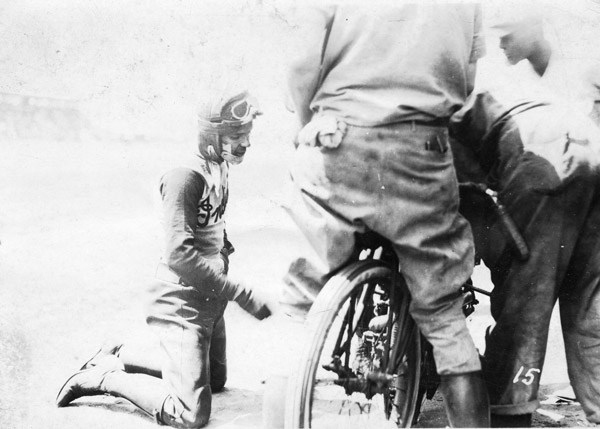 He connected the back of Ray Weishaar’s bike while coming out of a turn and crashed into the railing. He later died of head injuries. Shrimp’s fiancée, Genevieve Moritz, had come to deliver a birthday gift and witnessed the fatal accident. 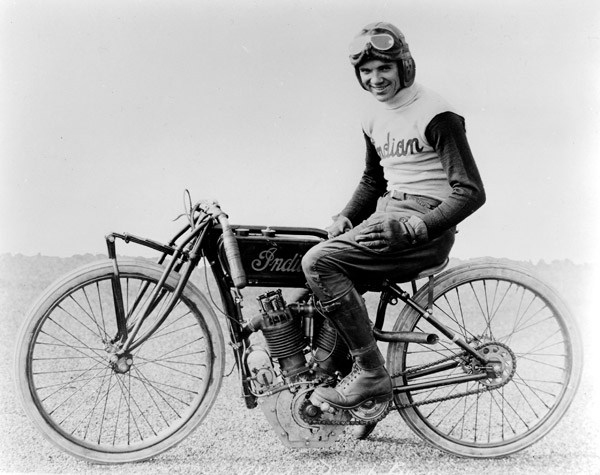 Shrimp won a place in the AMA Motorcycle Hall of Fame in 1998, exactly 100 years since his birth. 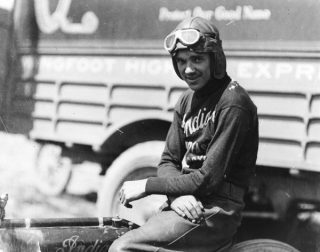 Read more about Shrimp’s history in the online book Pioneers of American Motorcycle Racing by Daniel K. Statnekov. Indian Motorcycle is America’s first motorcycle company. 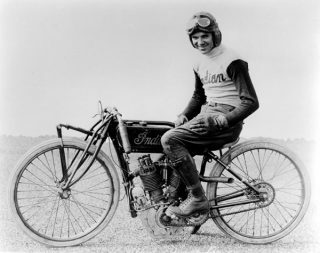 Founded in 1901, Indian Motorcycle has won the hearts of motorcyclists around the world and earned distinction as one of America’s most legendary and iconic brands through unrivalled racing dominance, engineering prowess and countless innovations and industry firsts. Today that heritage and passion is reignited under new brand stewardship. To learn more, please visit www.indianmotorcycle.eu. Anvil Motociclette is not just a garage, it is a creative studio and always aims to develop full projects following its own quality and beauty standards. Anvil always starts from history to create a story that describes their projects.